We live in a time of remarkable technological advancements, and remarkable over-sharing. As a teacher it is important to figure out where the line is in terms of social media. Your social media accounts can make you a more inspirational teacher and a better colleague. But they can also make you the focus of a personnel investigation or unemployed. Use them wisely. 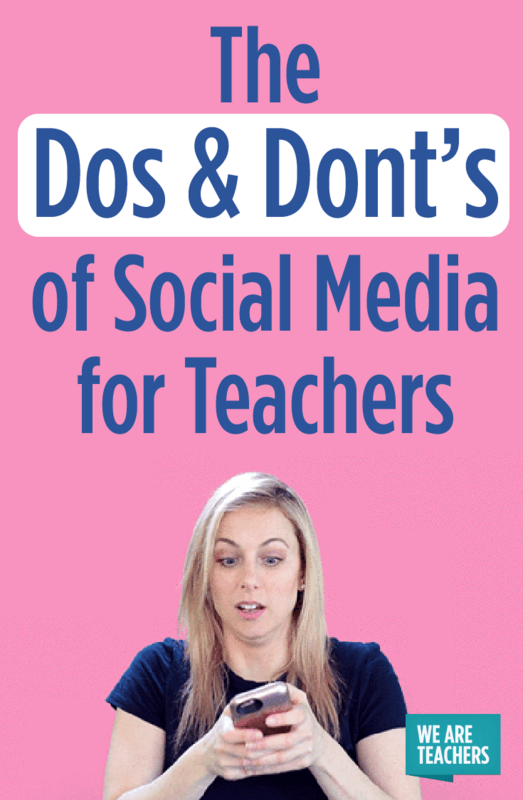 Here—the dos and don’ts of social media for teachers. Do stay in contact with your students through the power of texts. The fact that virtually every student now carries a phone offers a real opportunity for improving their academic performance. Reminders about due dates, answers to questions about homework, and tips sent out the night before a big test are all wonderful ways to use texts to help students. Always do this through some professional third-party app like Remind. Don’t connect directly with students. This seems, perhaps, too obvious for words. Still, there are always stories of teachers who have gotten themselves in trouble by being too friendly. Never give a kid your personal cell number in order to text each other, no matter how good your intentions are. And do not follow a student’s social media account. Refrain from commenting on something a student has posted online unless it is explicitly an academic assignment. Do follow colleagues you know, respect and like. Like any job, having some social connections to your peers can really help improve both your work environment and your collaboration with colleagues. Teaching can be an isolating profession as we all disappear into our separate rooms. Knowing when a fellow teacher has cause to celebrate or did something amazing offers the opportunity to become part of that celebration and connect. Social media is great for that. Don’t follow colleagues you don’t know, don’t respect or don’t like. If they are not someone you know, you are now a troll. And if they are not someone you respect, you are now associated with them anyway. Additionally, if you don’t get along, you are going to be tempted to be snarky. Better left alone. Do show what you are proud of. I have always had a passion for photography and use my Instagram account (@jeremy.knoll) to share the images I create with the world. Many of my students follow me and it gives them some insight into who I am beyond the classroom. I never post anything personal, controversial or inappropriate. Just beautiful pictures. Don’t share personal pictures or tag other teachers. No booze. No beach pics. If any of your social media platforms are open to the public, you need to realize that students and parents will be checking them out. Sharing personal information is generally a bad idea. Tagging fellow teachers is a terrible idea. If other teachers want to share something, leave it to them. Do encourage students to make the most of their social media accounts. Snapchat is the perfect example. Lots of students use Snapchat as an exercise in being a self-centered and vacuous teenager—all duck lips and pouty faces. Others use it to post pics of things that should remain private. 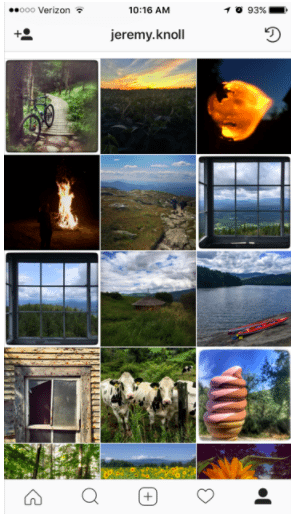 There is another option: Snapchat can be a platform for some really creative storytelling. By using that platform as the foundation for a class assignment, we can show them there is more to social media than selfies. Don’t use social media to tell stories that don’t reflect well on you or your profession. Facebook is a place where too many teachers complain about students, administrators or inexplicably the hours they have to work. In today’s environment especially, teachers are dealing with a PR crisis. With public schools under attack from politicians who want to privatize education, the only narrative coming from us should be one of caring for kids, loving our craft and working hard. Do talk to your students about the ramifications of their social posting. Actively search for teachable moments when you can bring the concept of responsible social media into your lessons. Sharing articles you find about employers scanning the social media accounts of prospective employees, discussing the permanence of social posts and how they can haunt you are lessons kids need to hear early and often. Don’t post during school hours. We are all being paid to prepare lessons, teach and grade. We are being paid with our community’s tax dollars. It sends a bad message when a parent who is helping to pay our salaries sees that we are spending our time taking selfies, promoting our own fitness blogs, or tweeting about the new Coach bag we just found on sale. Socialize during social hours. Work during work hours. Do you use social media to connect with your students? Any tips for managing it? Add your comments below.